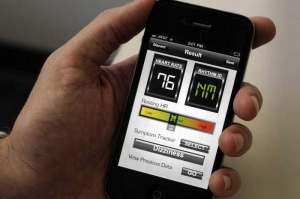 According to the Worcester Telegram, researchers at Worcester Polytechnic Institute and UMass Memorial Medical Center have developed a prototype iPhone application that detects if the user has atrial fibrillation. Atrial fibrillation is the most common cardiac arrhythmia in the world and puts the patient at high risk for developing a stroke, typically from an embolic event. The user places their index finger over the iPhone camera while the app is activated, and the lens and light source detect changes in skin color and underlying vasculature. It was tested on 60 atrial fibrillation patients at UMass and the results were compared to the patient’s actual EKG’s – all of which matched. Dr. David McManus, a cardiologist at UMass and one of the clinicians involved in testing it, feels it could serve as a screening tool for patients who have a family history of a stroke, but who are otherwise without apparent symptoms themselves. The app was developed by Professor Ki Chon at Worcester Polytechnic Institute. 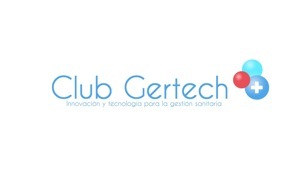 It is expected to launch in 3 to 6 months, and is currently awaiting FDA approval.